Please read this end user license agreement (“EULA”) carefully before downloading or using the Software. By downloading the Software, or using the Software, you are consenting to be bound by this agreement. If you do not agree to all of the terms of this agreement you shall not download and/or use the Software. The terms Software and Product have been used interchangeably in this document. The product is copyright Novo Tech Software. You may use it and distribute it according to this following license agreement. If you do not agree with these terms, please remove the product from your system. By incorporating the product in your work or distributing the product to others you implicitly agree to these license terms. You shall not use, copy, rent, lease, sell, modify, decompile, disassemble, otherwise reverse engineer, or transfer the product except as provided in this agreement. Any such unauthorized use shall result in immediate and automatic termination of this agreement. 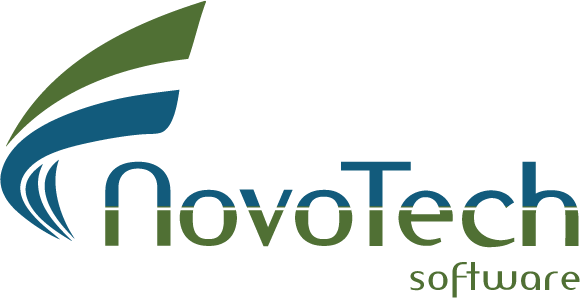 Software refers to Novo Tech Software’s computer program, in each case, supplied by Novo Tech Software herewith, and corresponding documentation, associated media, and online or electronic documentation. Trial Version means a free version of the Software for evaluation purposes only, so identified, to be used in one computer only and for a period of 14 days. Registered Version means a version that has been purchased from Novo Tech Software. The trial version may not be distributed inside of any other Software package without written permission of Novo Tech Software. You may use the accompanying product free of charge for a period of 14 days for the sole purpose of evaluating the product. If, after this period, you wish to continue using this product, you are required to purchase it. In other case, you are required to remove this product, in its entirety, from all computers on which it is installed. The Registered Version is a version of the Software for which a license is purchased from Novo Tech Software. The Registered Version allows the registered user to conduct and publish its work according to the license agreement, but nor Novo Tech Software nor any member of the company can be held liable for the content or accuracy of the publication. A Registered Version may be purchased as Perpetual (no time limit for using the software) or as Lease (permission to use the Software for a limited time only). Once the payment is completed and a license is issued for the Software, the Software cannot be returned (i.e. no refund). When you purchase a Perpetual license, an annual subscription to Maintenance Plan (upgrades and support) will be automatically added to your order. This is free for the first year, but you will be automatically charged for annual renewals (unless you cancel your subscription), based on the payment information you provided during your initial purchase. This allows you to upgrade to newer versions as we make improvements, and to benefit from our technical support when you need our help. If the renewal of user’s subscription to Maintenance Plan fails on it’s due date, the user can still continue to use the software, however the user will no longer be entitled to upgrade to higher versions, or to receive support services. A subscription to Maintenance Plan that is cancelled, cannot be resumed, and in order to use the upgrades and support services, a new purchase of the Software will be warranted. The Software is distributed “as is”. No warranty of any kind is expressed or implied. You use it at your own risk. Neither the authors nor Novo Tech Software and their associates will be liable for data loss, damages and loss of profits or any other kind of loss while using or misusing this Software, or for any claim by any other party. All other rights and restrictions not specifically granted in this license are reserved by Novo Tech Software. If you have any questions regarding this agreement, please write to us.